My "Tea Time" Shelf Display with zinnias took a blue ribbon at the fair. 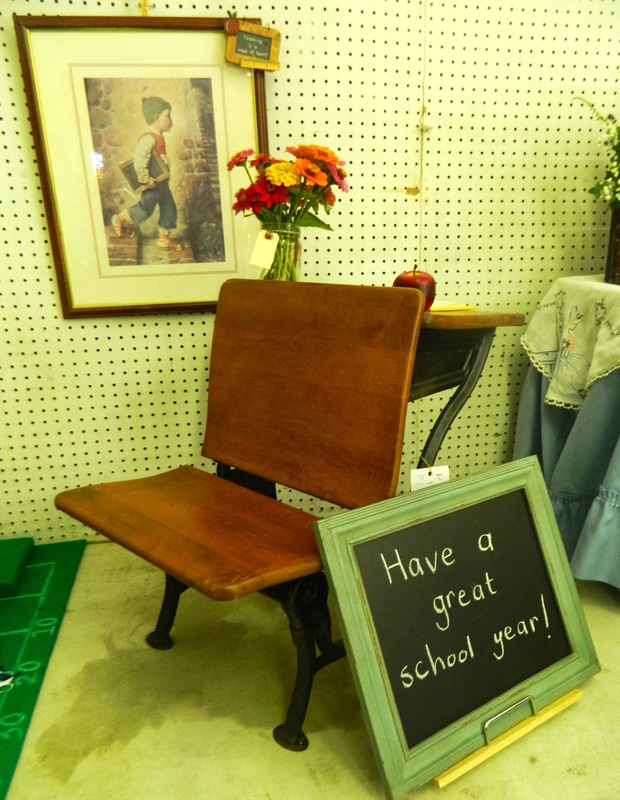 We love to celebrate the end of summer by attending our local fair. It is a week-long event that has everything a country fair should have, including farm animals, tractor pulls, country-and-western bands, rides, all sorts of vendors, plus vegetable, fruit, and flower competitions. Most important, the local churches and fire departments have food stands offering delicious food which is the best reason for going to the fair. H.H. 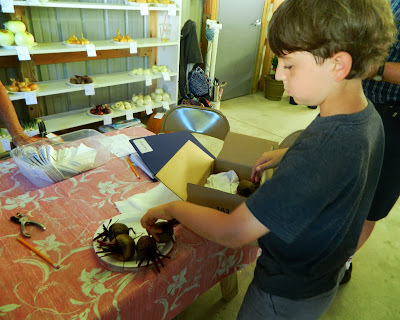 has looked forward to the West End Fair every year of his life, even though when he was young its arrival meant that a new school year would soon begin. 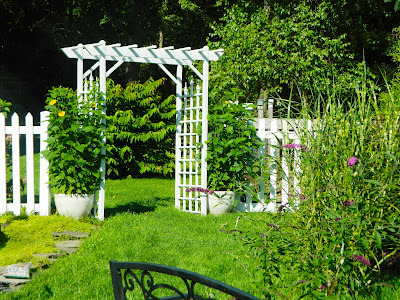 As a transplant, it fascinates me because there was nothing like it where I grew up in England. 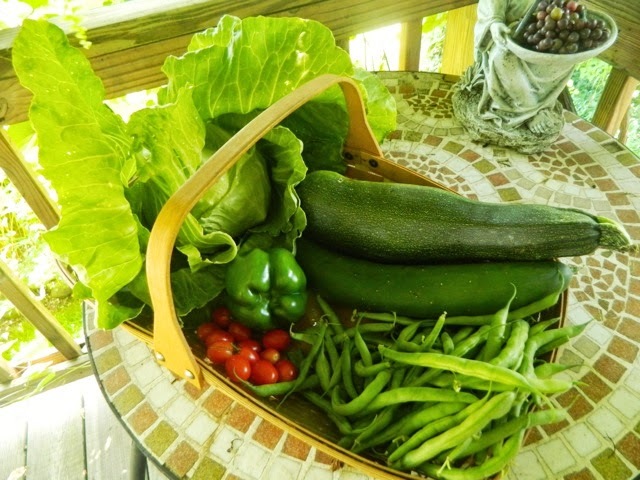 Last year, for the first time, I entered a few of my flowers, vegetables, and herbs. I blogged about it here. 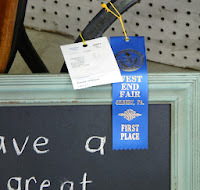 I was ecstatic to be awarded some ribbons, so I entered more items this year. 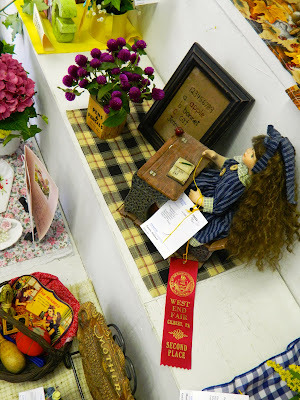 It was a lot of work, but my ten-year-old grandson helped and we were rewarded with five first-place ribbons, six second-place ribbons, and several thirds and fourths! 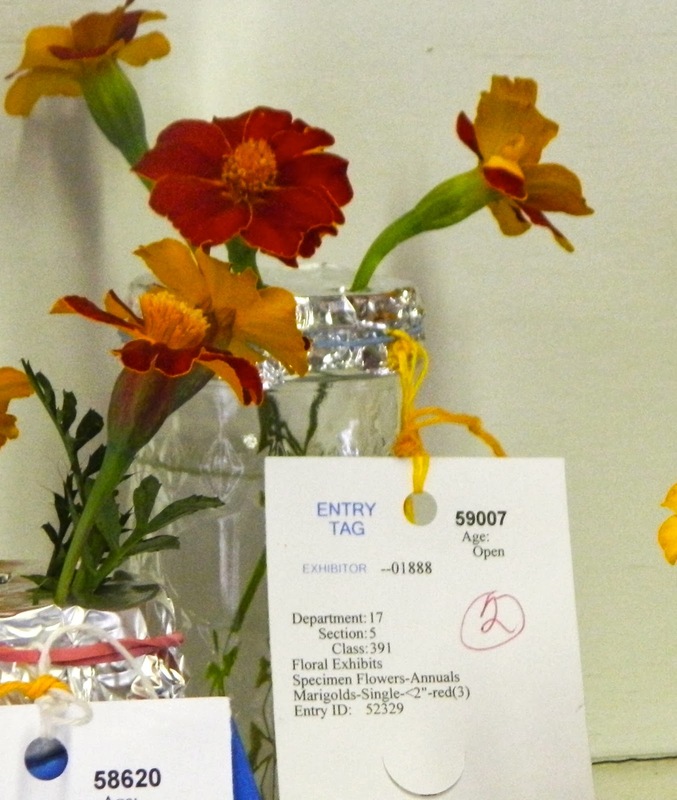 My grandson prepared the jars for transporting flowers and herbs to the fair. 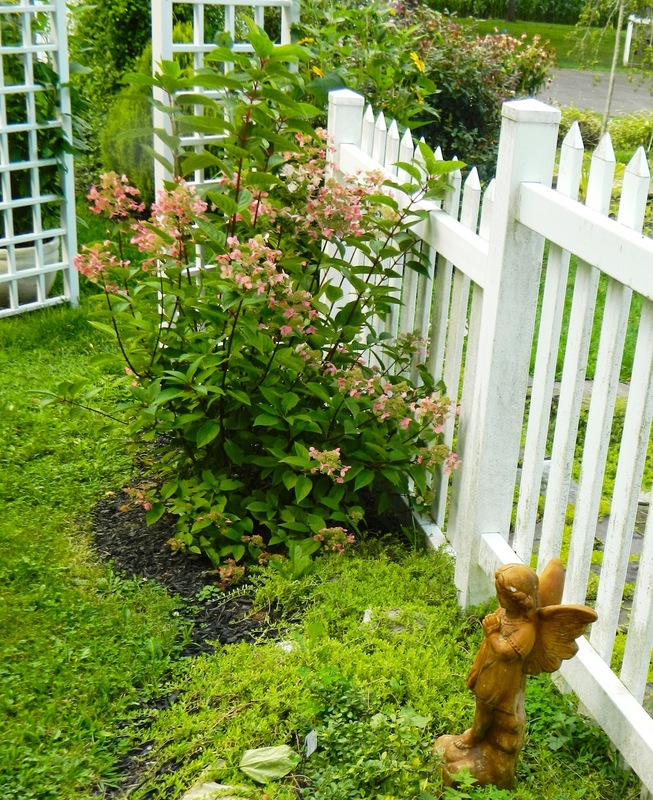 I entered yarrow, butterfly bush, marigolds, lemon balm, nasturtium, verbina, and coleus to name but a few. 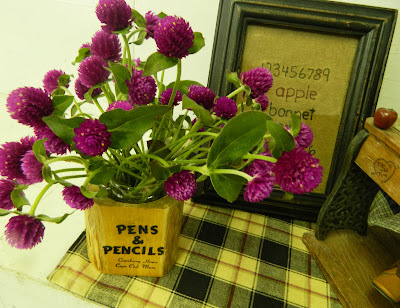 There are specific rules for the type of container and the number of flowers in each. 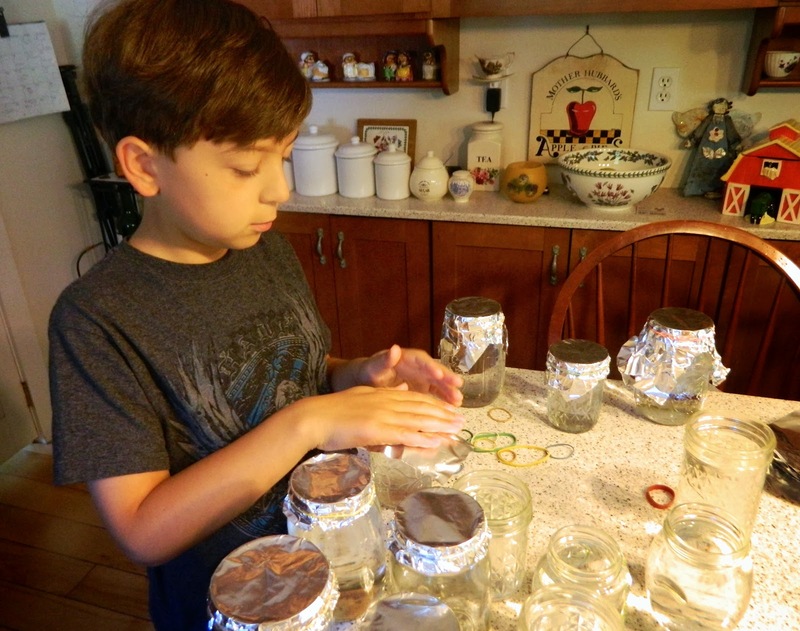 My grandson enjoyed filling the jars with water, covering them with foil secured with rubber bands. The rules require one, three, or five specimens of each flower, herb, or veg. 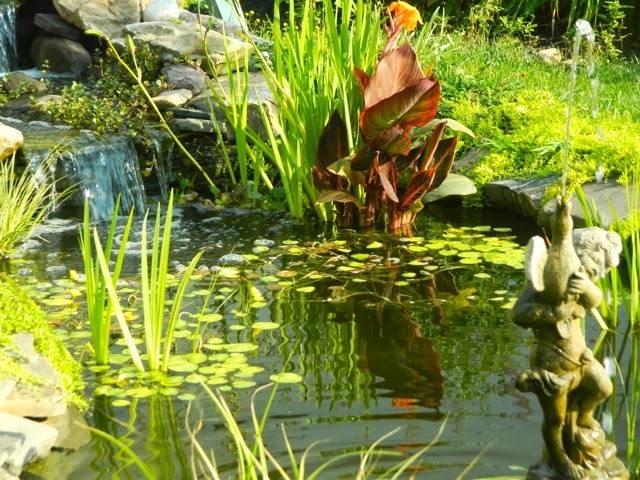 depending upon the plant. 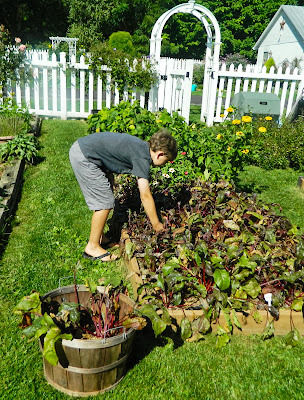 My grandson picked beets and chose the best five. I told him last year I was a awarded a blue ribbon for my beets. He was hoping for a repeat performance. 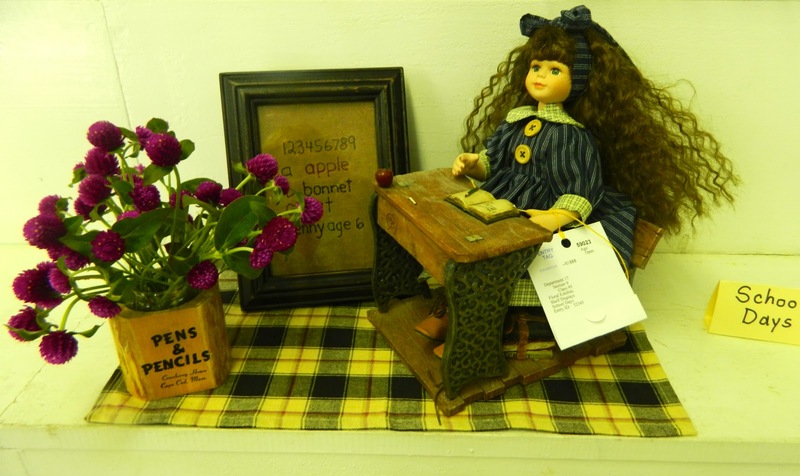 In addition to submitting specific plants, I entered a floor display and two shelf displays. 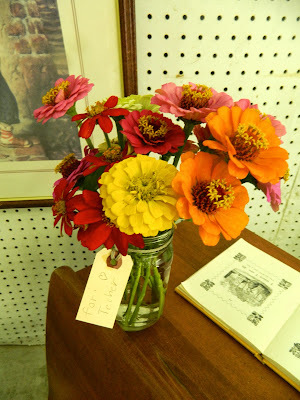 I picked zinnias for two of my displays and globe amaranth for the other. 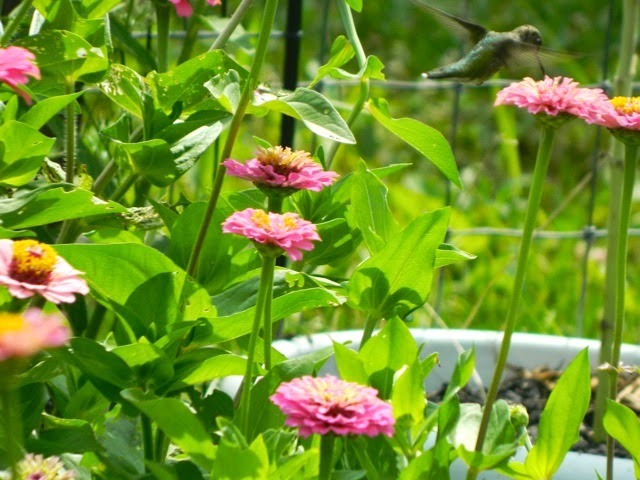 I grow zinnias from seed every year. They are my favorite annual. When we arrived at the fair, my grandson helped me arrange my displays. The misspelling on the the label made it look more authentically written by a young child. The label says "For Techer" - spelt wrong intentionally by my grandson. When we finished arranging the displays and registering flowers, we headed over to the building where vegetables and herbs were to be judged. 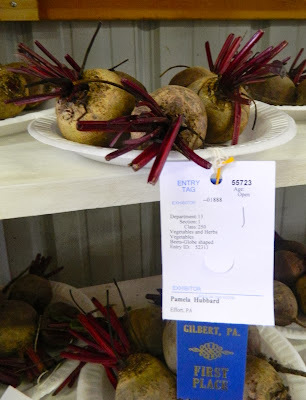 My grandson arranged the beets to the best advantage for the judges. 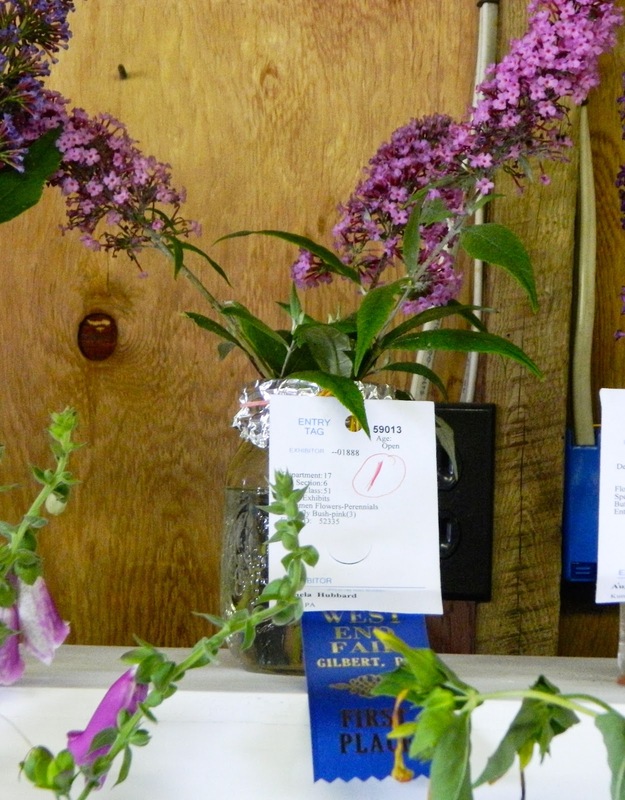 We set up all the entries on Saturday, the buildings were closed Sunday for judging, and we had to wait until Monday noon to see if we had won any ribbons. We arrived at the fair as the gates opened and my grandson ran from entry to entry looking for ribbons. 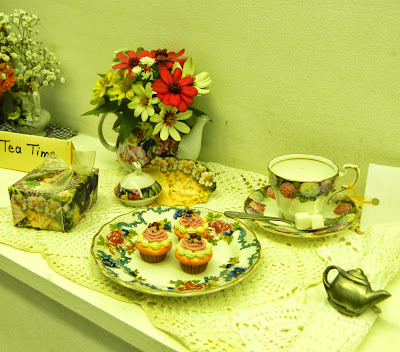 I took a blue ribbon for the floor display and for "Tea Time" (pictured at the beginning of this posting) and a red ribbon for the "School Days" shelf display! Yarrow Achillea ptarmica "The Pearl"
My marigolds were awarded second place. 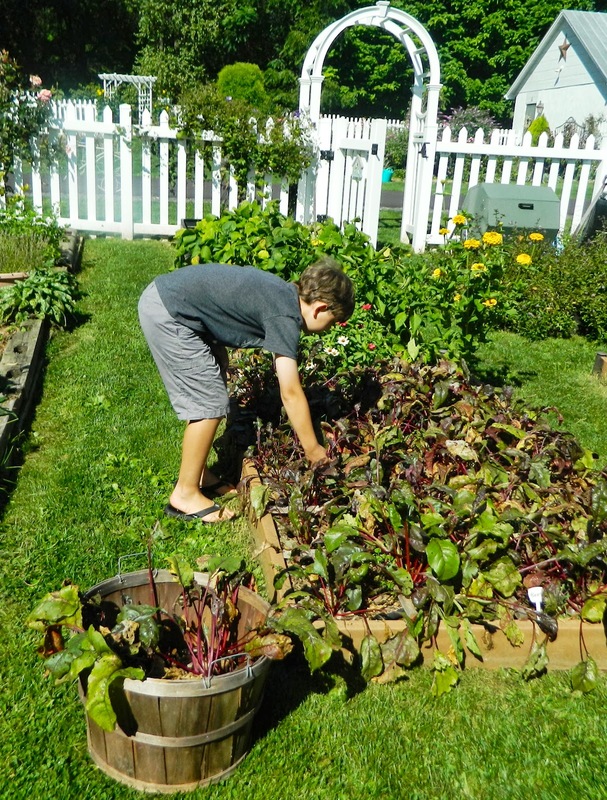 To my grandson's great delight, 'his' beets took first place! He was so excited and phoned his mother immediately with the news. I think we have a budding gardener there! Our West End Fair is a tradition, since 1920, marking the end of summer. 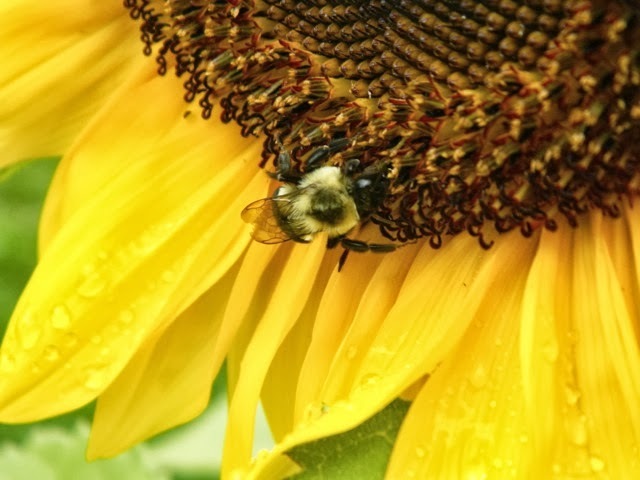 This community event provides an opportunity to celebrate the results of a summer's hard work in the garden and to welcome autumn. 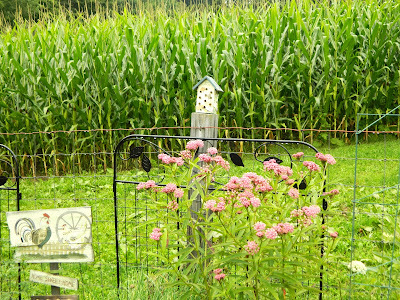 I am joining Donna at Garden's Eye View for her Seasonal Celebrations meme. Do go over to her blog and see the wonderful fruits of her labor. As Donna says, autumn is knocking on our door here in the northeast United States, so I wish you a very happy fall in your garden! 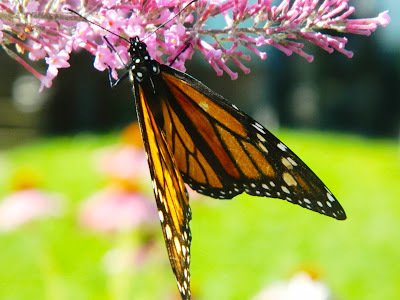 August GBBD and Where Are all the Monarchs? I am extremely excited because I saw a monarch butterfly on the tall verbina today! 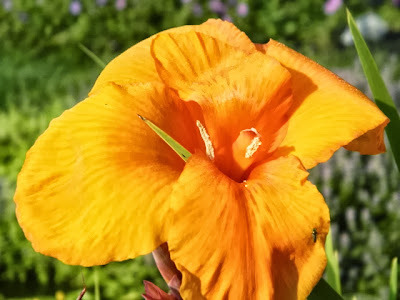 It is Garden Bloggers' Bloom Day (celebrated on the 15th of each month by gardeners around the world -- thanks to Carol of May Dreams Gardens) so I went outside with my camera to see what is blooming. 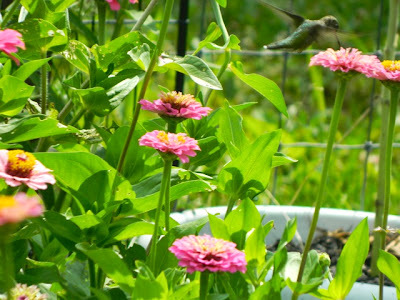 Why would one little butterfly excite me so much? Because it is the first and ONLY monarch I have seen this year! 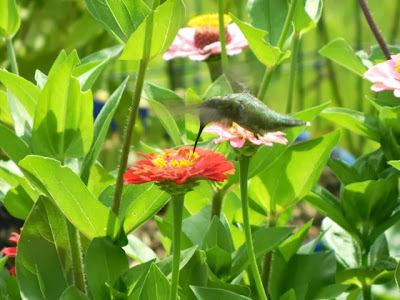 The little darling fluttered between the verbina in the entry garden and the buddleia in the cottage garden and I followed it around for nearly an hour and took dozens of pictures. 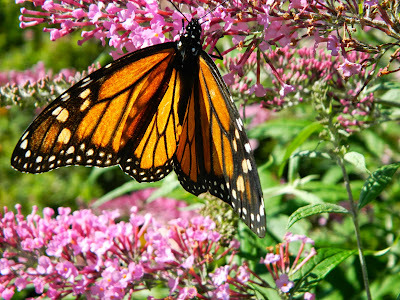 As you probably know, monarch butterflies are unique because they migrate from north to south like birds. 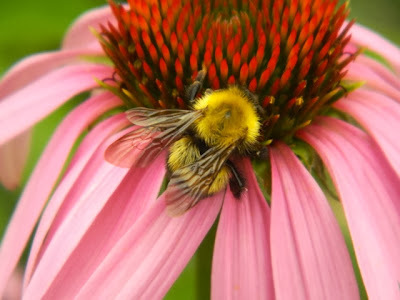 Each fall, hundreds of millions make their way from the Eastern United States and Canada to the mountains of central Mexico, where they pass the winter. New generations of monarchs return north between April and June. It's now the middle of August and until today there was no sign of them in my garden. It's normal for the monarch population to vary from year to year -- click to read what MSN news says about the steep decline this year. 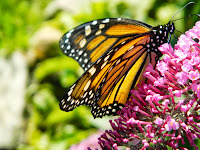 The Boston Globe reported: 'Scientists say the exact cause for the monarch’s decline is hard to pin down, but it probably stems from unfriendly weather patterns caused by climate change, as well as overdevelopment of the butterfly’s natural habitat, including the destruction of milkweed, the only plant on which females lay their eggs.' 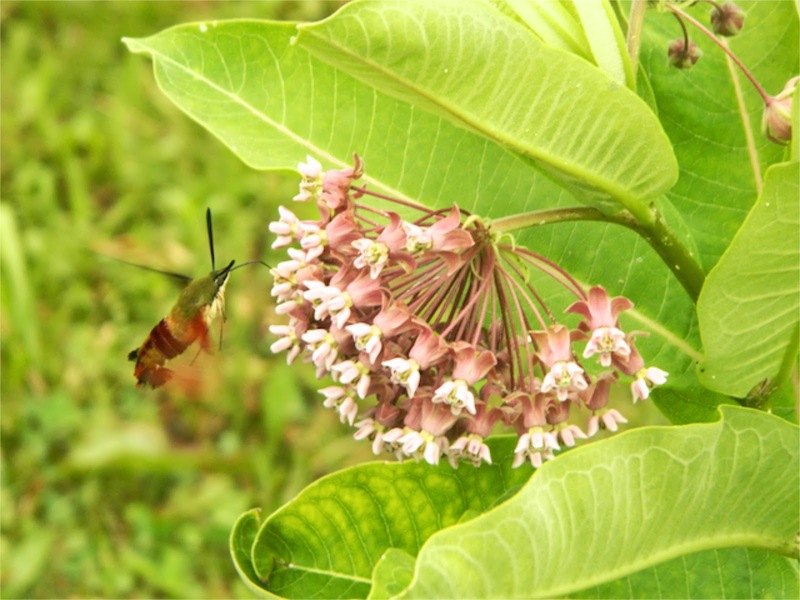 I grow milkweed in my garden, specifically to attract monarchs, but this year they have not yet found my plants. Usually there are several monarch caterpillars on my milkweed at this time. 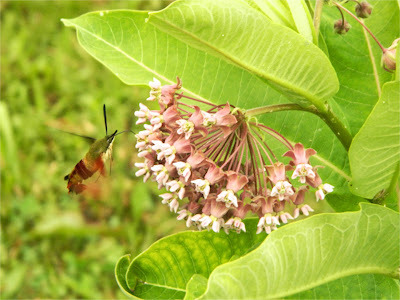 There are no monarchs, but lots of other insects on my milkweed, including a hummingbird moth. The bees are enjoying my August blooms, especially the sunflowers and the purple cone flowers. 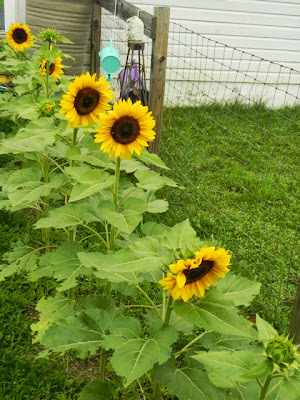 I planted a row of sunflowers near the rain barrel in the kitchen garden. I wished they had their faces turned towards me as I enter the garden from the west, but sunflowers always face the rising sun. 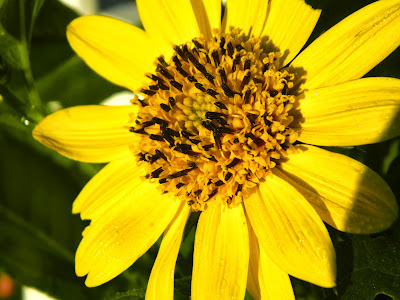 Note the raindrops on the sunflower below -- we are experiencing a lot of rain this month. 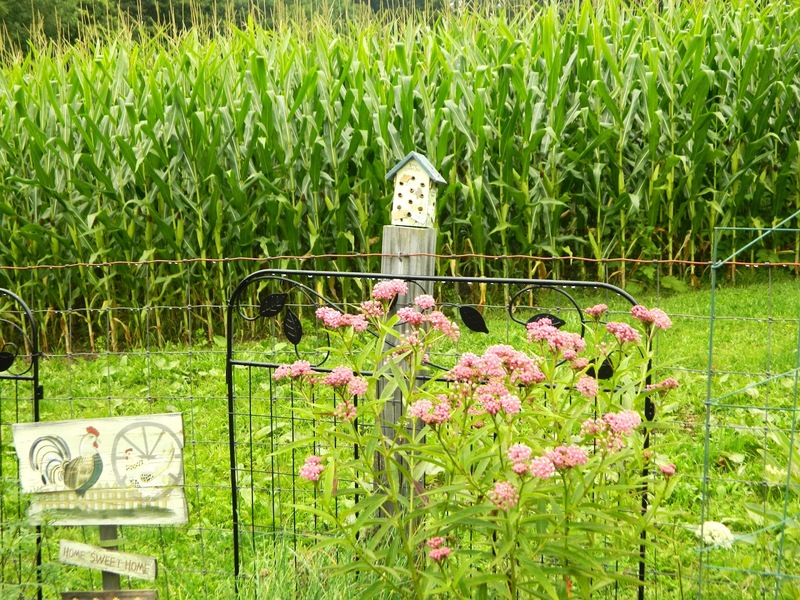 The purple cone flowers are beginning to fade now, but they are still bee magnets. 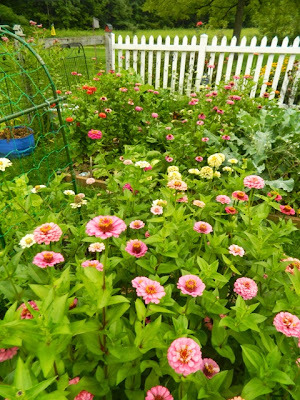 While many of my perennials are fading, or have been beaten down by rain, the zinnias are putting on a fabulous show in the kitchen garden. The zinnias in these pictures are Cut and Come Again Mix. Every spring I start zinnias from seed indoors, and this year I also grew Pinwheel and Raspberry Lemonade. See the hummingbird on the top-right flower. Canna leaves making a bold statement. 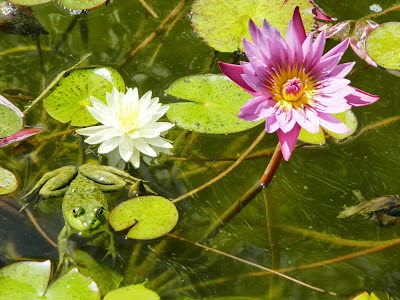 A frog and two water lilies. 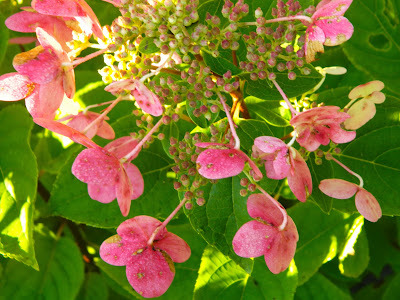 Nearby, one of my favorite blooms today is that of my pannicle hydrangea. 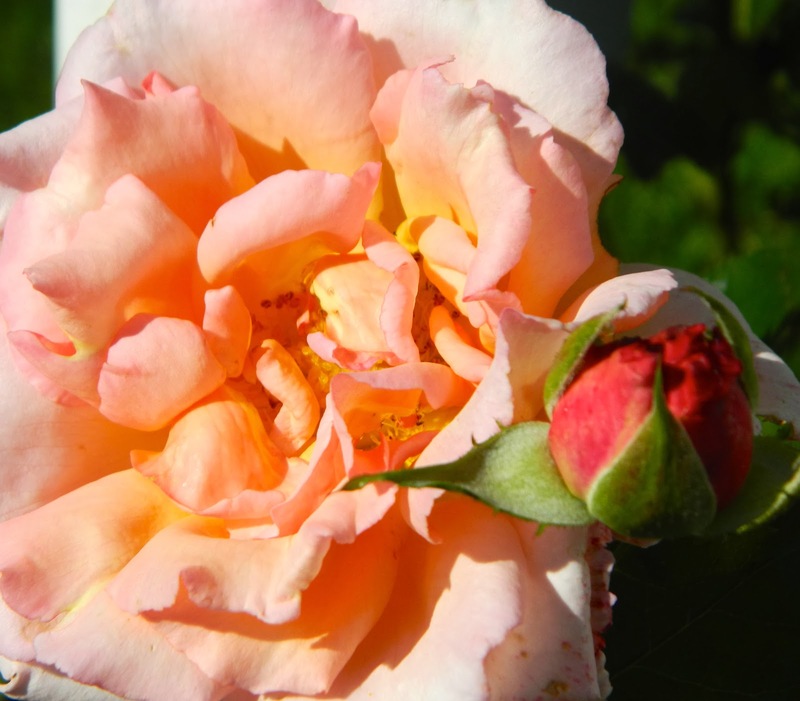 The blossoms started out white with little pink specks, and progressed to deep pink. This hydrangea was new last year and is growing nicely behind the patio fence. Before finishing my Bloom Day walk, I picked a few vegetables, including the last cabbage. 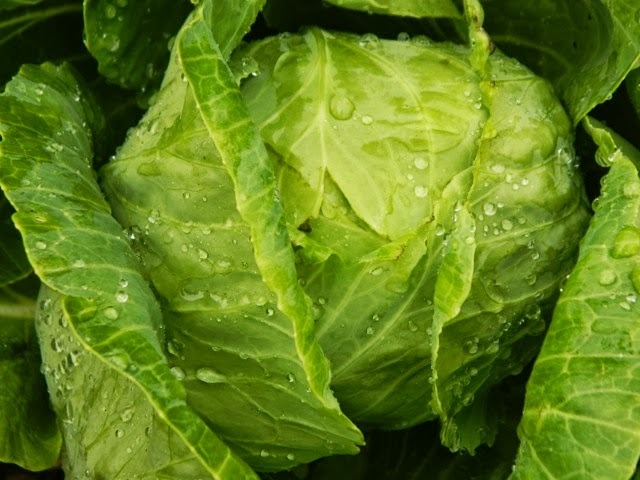 Cabbages aren't usually growing this late, but we had very cool (below normal) temps. this month. I have many more blooms today, but I am exhausted from chasing that wonderful monarch butterfly, so I'll keep those pictures for another posting. Are you seeing monarchs in your garden, this year? 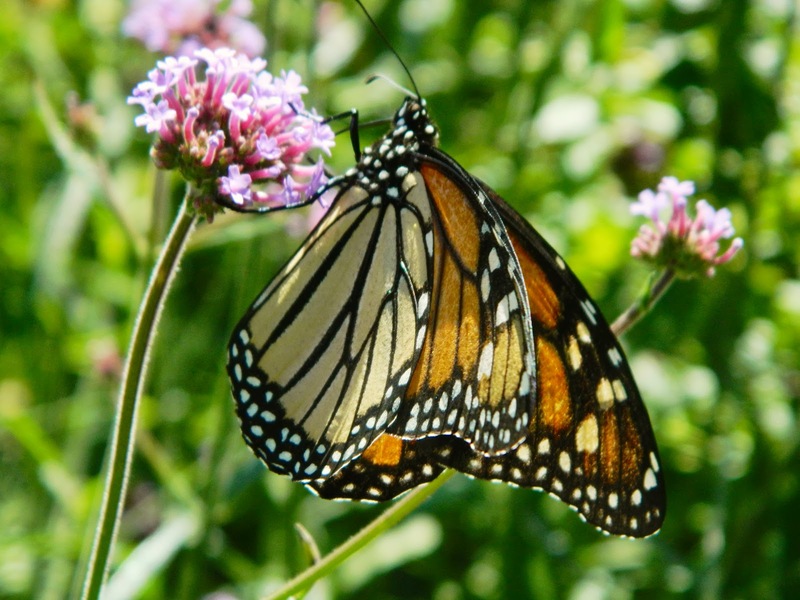 Or if your garden is not in the monarch butterfly's range, are other butterflies declining in your area? 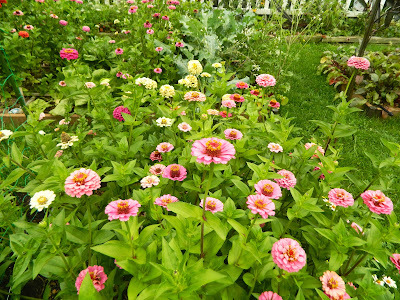 Wishing you a happy Garden Bloggers' Bloom Day. Do check out May Dreams Gardens to see what's blooming around the world!